Usually when we talk about affordable 3D printers the lower price does come at the cost of the available build volume you get, or that is true at least for most already assembled devices. If you want a device that has a larger build volume available to be able to print bigger 3D objects, then normally the price literally skyrockets and can go as high as tens of thousands of dollars for the BigRep ONE for example that offers 1.3 cubic meters of build volume. 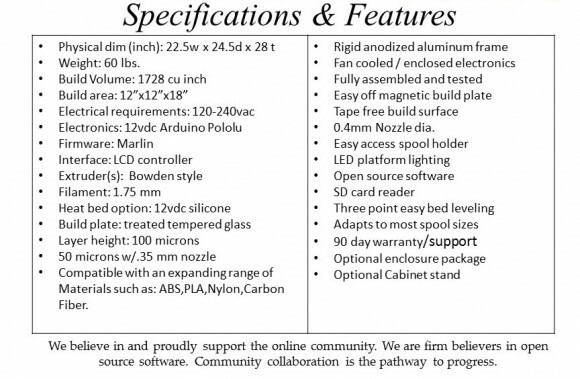 But you can find devices that still offer larger build volume than most of the traditionally available FDM/FFM 3D printers that are not much more expensive than devices that have two times smaller print volume. One such example is the CreatorBot 3D printer that started with a successful crowdfunding campaign on Kickstarter and apparently is now shipping for the backers of the project. But even if you did not back the project on Kickstarter you can already order the device and have it shipped to you early next year. 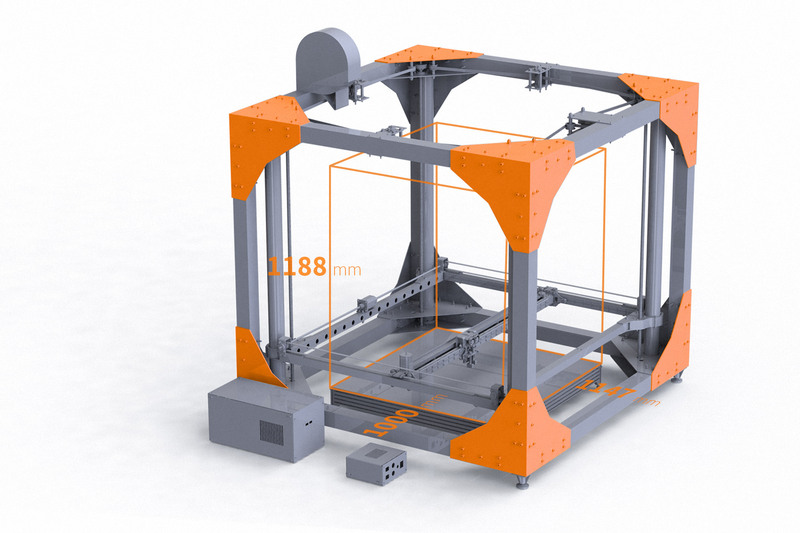 The main advantage of the CreatorBot 3D is that it offers a larger print volume than other similar devices in the same price range, with it you are able to print thing at up to 305x305x457mm (12″x12″x18″) size and the price of the base configuration starts at $1595 USD. 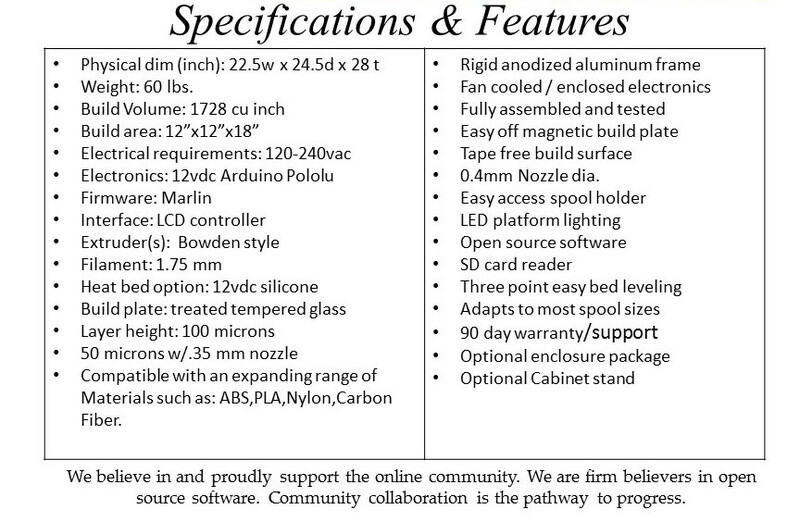 This includes the CreatorBot 3D with a single extruder, no heated build platform and an open box frame and no WiFi, but you can upgrade the device to get extra features available should you need them or directly go for the Pro package available for $1845 USD that has dual extruders, heated bed and acrylic enclosure and for extra $75 USD you can also get WiFi support. 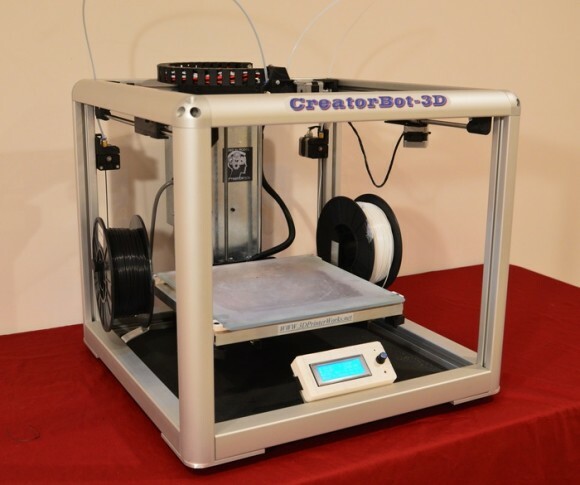 The CreatorBot 3D is made in USA, but it is being shipped worldwide, so you can order it directly from the website of 3D PrinterWorks that are making the device.